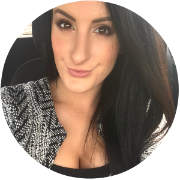 Well, if you aren’t certain of where I stand on the Indeed Labs Hydraluron Serum, then you need to read my blog some more. And, if you don't know which product I'm on about, I will honestly eat my hat. When the moisture-boosting marvel hit the shelves, it literally changed my skin life. The clinical brand then extended the line and followed up with the hydrating, plumping sheet masks. Again, wonderful work. And if that wasn't enough, without any prior warning, or maybe this proves how little I’ve been able to access the internet as of late, I stumbled across the newest of the bunch, the Hydraluron Moisture Jelly. Seeing as it’s predecessors were such people pleasers, how could I put it down and walk away? Now, the idea of a moisturising gel does put me slightly on edge. Back in the day, when I battled with oiliness, lighter lotions and gels were a must, but now they just don’t make the grade. For the first time when opening an Indeed Labs product, I was totally sitting on the fence and even felt a bit nervous. On rubbing a little of the jelly into the back of my hand, I was slowly getting down. On massaging it into my face, I was well and truly off it. Totally different to how I expected it to be, the refreshing gel formula is light, but doesn't leave my skin craving more moisture. Sinking in, in seconds, you get instant hydration, without any greasiness, making it perfect for all skin types. 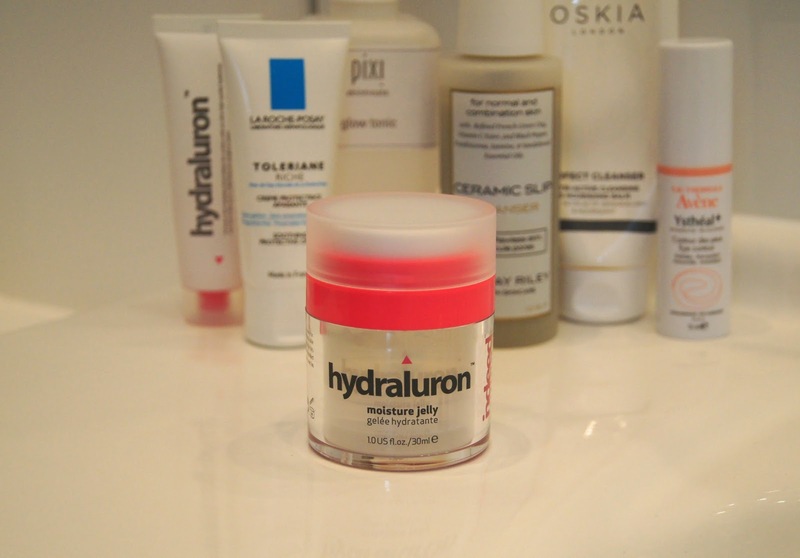 Things do feel a little tacky initially, like with the Hydraluron serum, but once settled, skin feels smooth and supple. No tight feeling, no dry patches, no irritation. Layered on top of the matching serum, this moisturiser leaves skin feeling plumped and juicy and throughout the day, skin continues to reap the benefits. Creating a smooth, primed canvas, any foundation and other base, makeup products sit perfectly over the moisturiser. After a couple of weeks use, I’m happy to say that my skin hasn’t felt starved of moisture and is looking clear and feeling fresh. My face doesn't look like a shriveled, old prune when I come to my evening routine, that's for sure. So far, this gel has been reserved for morning use only, as I like to drench my face with numerous oils and treatments overnight. But, I wouldn’t count it out completely. As the formula is so light, it may not be rich enough during the winter months, but we'll soon find out. Time for the beauty bumf. Five, scientifically-proven ingredients and PatcH20 (a micro-network complex, apparently) are suspended in a Hyaluronic Acid matrix, which helps to lock in moisture. Fucogel creates a defensive film across the skin, to stop water evaporation, Vivillume revives skin and gives it luminosity, whilst Hydrolite 5, an advanced moisturiser, lets the active ingredients do their thing. All that scientific jargon is mind-melding, but that's why I don't work in a lab. All I know is, if I try a product and feel it works, whatever the cost, I'm happy. When I've previously paired the serum with other moisturisers from different brands, the combination of the two hasn't worked and has started to separate and go all bobbly. As you would hope and expect, the serum and moisture jelly go hand in hand and work well to arm yourself against dehydration. Free from any funky fragrance, this could be a great, cheaper choice, if you have sensitive skin. As I always say when I talk about Indeed Labs, the quality is just amazing for the price. They strip their products right back and keep only the necessary bits to create effective, affordable products. Whilst you can pick up a drugstore moisturiser for much less than £24.99, I'm yet to find one that delivers any noticeable, worthwhile results. That's also true of high-end creams that cost triple the price and are just OK. In terms of packaging, the tube is genius. Similar to those nifty, nail polish bottles that pump up and out of the top, this packaging is so hygienic and prevents waste. 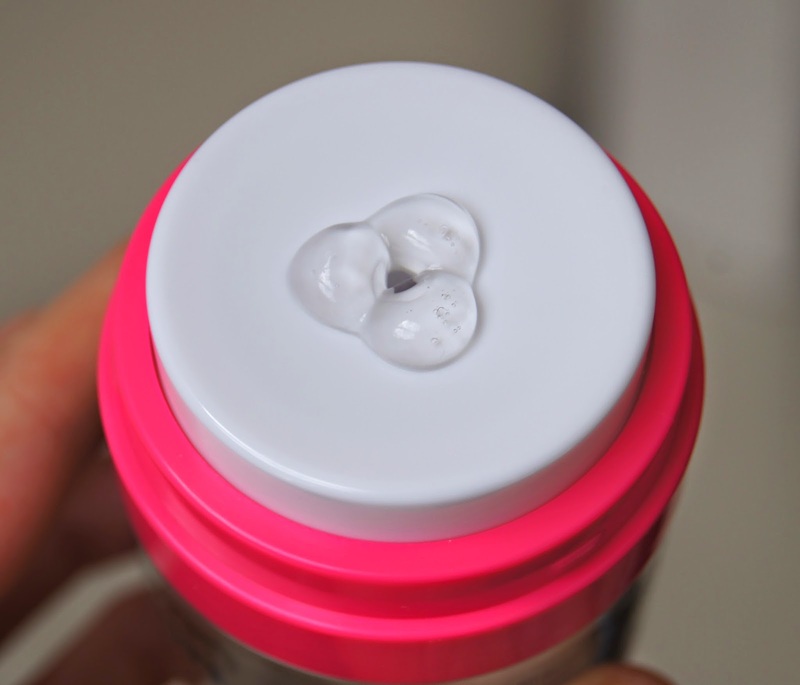 The clear cylinder also means you have a heads up when you’re running low. One pump is sufficient to cover my entire face, but I like to slather on a couple, as my skin can never get enough. 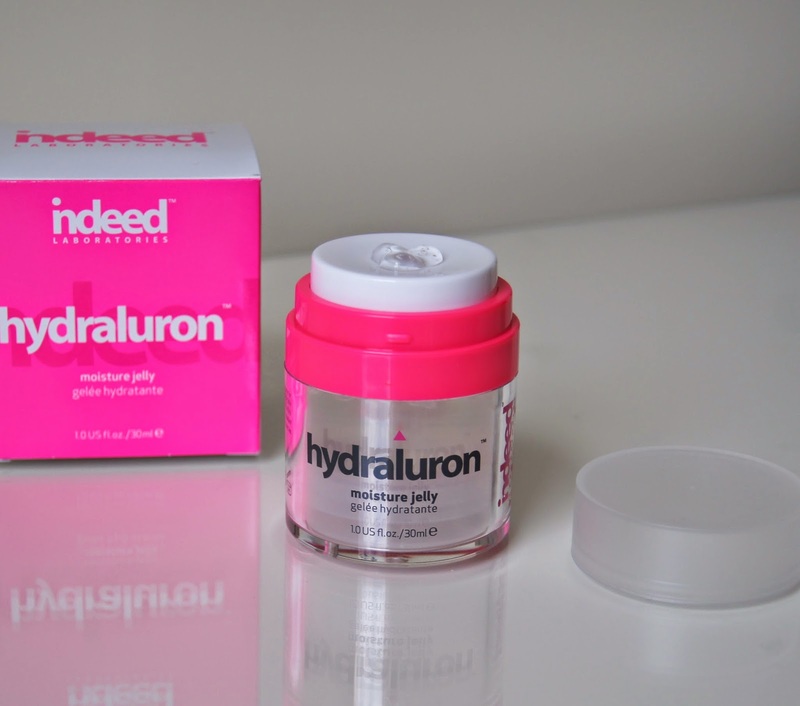 Do you love the Indeed Labs Hydraluron range as much as I do?